What Does A Marine Metal Fabricator Do? And What Don’t They Do? Get The Details! Thinking about hiring a marine metal fabricator for your next yacht project? You may be wondering what to expect – and what services are typically provided by marine metal fabricators, such as K&G Marine, LLC. 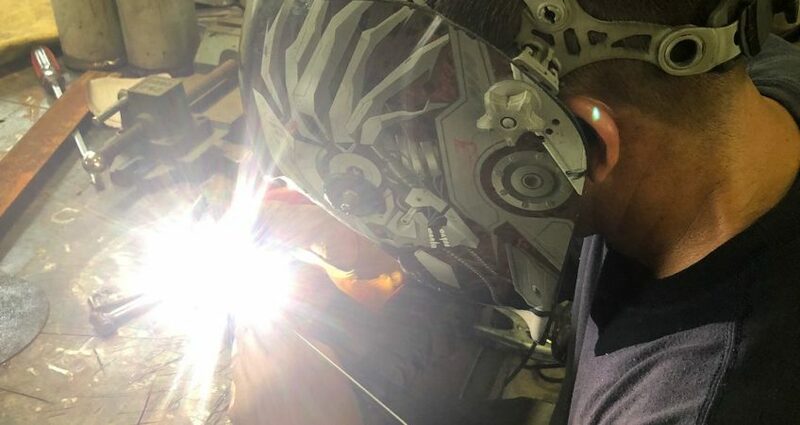 In this article, we’ll take a look at the basic breakdown about what you can expect from a marine welding fabricator, such as K&G Marine. Learn what you need to know about custom metal fabrication now. Let’s begin by talking about the typical tasks that most marine fabricators deal with on a day-to-day basis, and what you can expect when partnering with a company like K&G Marine. Blueprint creation/design – Marine metal fabricators are often responsible for creating custom designs, based on customer specifications. If you need a new railing for your yacht’s pool, for example, a marine fabricator will have a designer who can help you create the ideal installation. Machining and fabrication – The primary job of a marine metal fabricator is to take metal pieces such as pipes and other structural components, and assemble them into a finished product. To do so, a variety of CAD/CAM and hand tools are used. Welding – Welding is key for both individual project manufacturing and creation, and for installation. Project installation – Marine fabricators will aid in the installation of your project, and ensure that it meets all marine standards for safety, structural integrity, and more. Cleanup and project finishing – After installation, a metal fabricator will clean up the area around your project, and ensure that the metal is clean, free of defects like excessive welding metal, and more. Marine metal fabricators are not “jacks of all trades”. There are some tasks that are not usually taken on by fabrication companies. Metal repairs and restorations – Marine metal fabricators are usually not the right choice for restoring an existing piece of metalwork. They offer construction services – not restoration and renovation services. General maintenance of metal – Metal fabricators do not remove stains, corrosion, or other such imperfections from existing metalwork, unless it’s integrated into a fabrication project, and is part of the agreed-upon scope of work. Electrical work – While many marine metal fabricators are willing to undertake plumbing work, electrical work is another thing entirely. Marine electrical work must be left to an experienced, qualified, and licensed marine electrician. Casting and forging, or creation of raw materials – Fabricators do not cast items like pipes or other structural components themselves. That is left to raw material processing companies. Fabricators typically work with pre-built components that are machined and cut to size, rather than custom forging individual pieces. Know What To Expect From Your Marine Fabrication Company! At K&G Marine, we offer a comprehensive set of marine fabrication services – from plumbing, to steel polishing, custom projects, and so much more. No matter what kind of work you need to be done on your yacht, we’re here to help. So with this guide, you’ll know what to expect from us – and what we don’t do! Got more questions, or need more information about custom projects? Contact us right away. We’d love to hear from you, and answer any other questions you may have.